Other than using essential oils for skincare or homemade remedies, there are many applications for these gifts from nature. One of which is diffusion. By using a variety of devices and methods, you can reap the benefits of diffusing essential oils quite easily. Read on the post down below to understand more about this method, and the devices that you can use to diffuse oils. Diffusion is any method that can release the aromatic molecules into the air. With diffusion, you can use a single type of oil or combine many different oils to use at once. On the market right now, you can find many types of diffusers. The ones that you often see in spas are called the lamp rings, which use a candle to heat the oil. You will need to fill the container with water, then add essential oils. As the combination gets hotter, the water and oil will evaporate, bringing the oil molecules into the air. This method is affordable, homey and aesthetically pleasant. However, the heat may alter some molecular constituents of the oils. These are even simpler diffusers that only give off the scent passively, in the forms of drenched cotton balls or aromatherapy stones. People often refer to this method as passive diffusion. It doesn’t require any device or processing of the oils. However, passive diffusion doesn’t offer much therapeutic effect either, because the vaporization is slow. From the vehicles, the smallest scent molecules evaporate first, followed by the heavier molecules which will evaporate much slower. In some cases, when the essential oils have big molecules, they won’t evaporate at all. That’s why passive diffusion also doesn’t work well with low volatile oils. 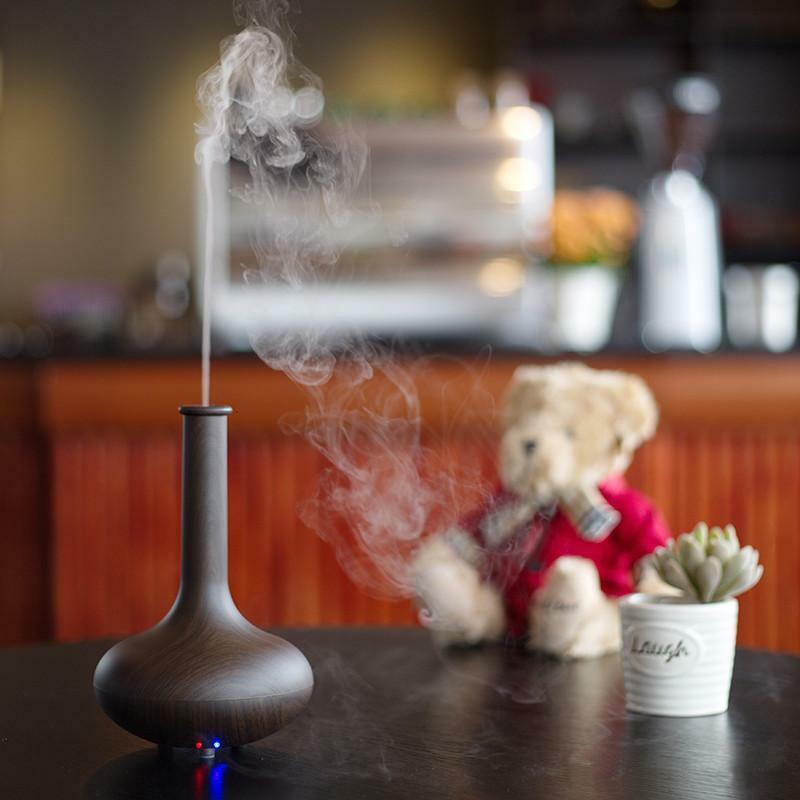 An essential oils electric diffuser is a small device, that comprises of a glass nebulizer and a motor-powered housing. These two components connect through rubber tubings. As you drop essential oils into the device, these oils are aspirated towards the top of the glass nebulizer. From there, a small stream of air divides and micronizes the oils into extremely tiny drops. The drops form into a fine mist and go out from the top of the diffuser into the room. The modern electric diffuser that works according to this principle is often called the nebulizing diffuser. These devices also double as a humidifier. The result will be a subtle and homely aroma. All that you need to do is fill the water in, add essential oil(s) of choice, and press the button. Among the options for diffusing essential oils, using a device requires you to put forth an investment. Even so, there must be some reasons why people keep buying these machines, right? Let’s see the benefits of diffusing essential oils with a device and decide if it will benefit your case. If you use an electric essential oil diffuser, the oils will be blended into a fine mist stream that goes into the air. 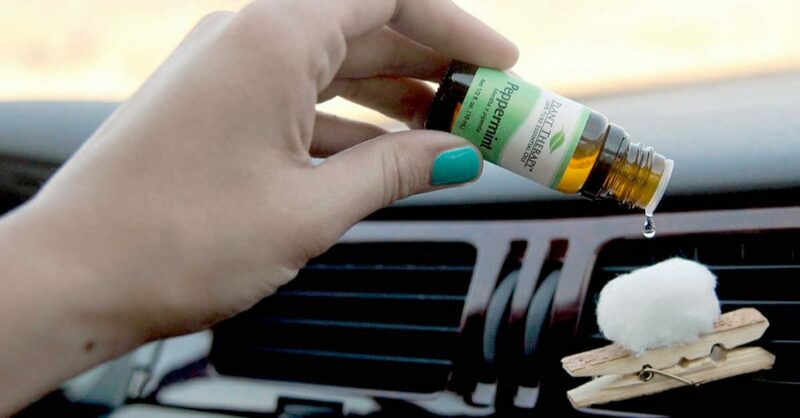 A human can actually inhale and get the benefits of essential oils from this method. The oils will then get absorbed easily via the lungs. All the breathing passages in our body, including the nose, throat, sinuses, and lungs. The therapeutic benefit is so amazing it may even alleviate respiration problems such as asthma, sinusitis, and bronchitis. 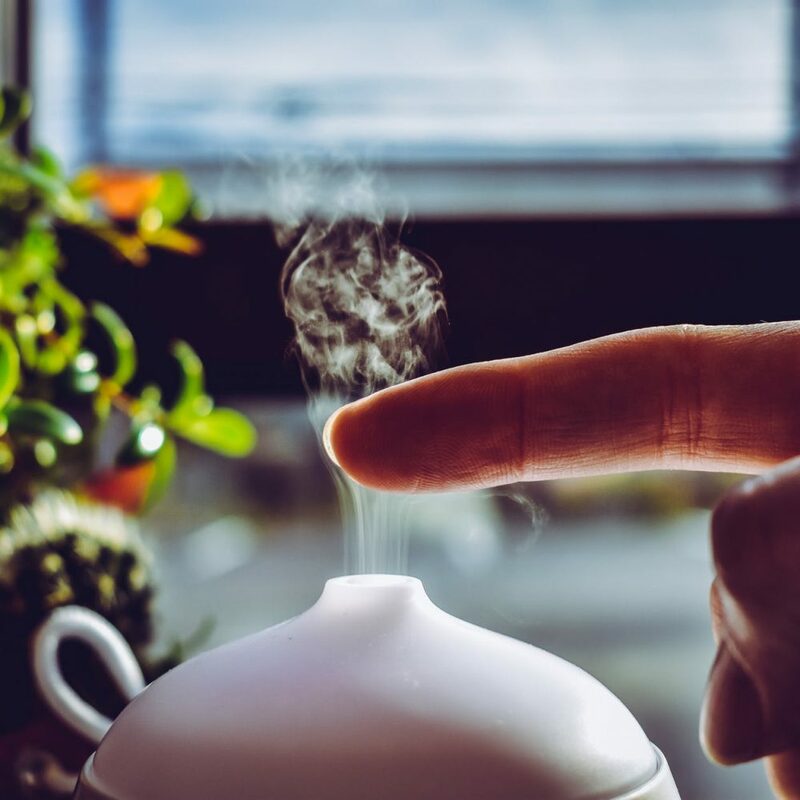 Researches have shown that inhale the essential oils molecules via diffusion is one of the most effective and safest methods to get the benefits of diffusing essential oils. It’s also the fastest way to get essential oils into your bloodstreams. From the old days, a human has used essential oils to fight against molds, viruses, and bacteria. As you diffuse the oils in today modern setting, the essential oils droplets will act as guardians that fight off the surface and air microbes. People with allergies will benefit from essential oil diffusion the most. Science has proved the effectiveness of specific essential oils such as lavender oils to lift mood, help calm and relax the mind, or boost focus. If you want to have prominent effects, then use a more concentrated form of diffusion, like nebulizing. Because these devices don’t heat the oil, so the molecular makeup of the oils remains intact. This is also what makes them superior to candle heating or lamp rings. Traditional methods of essential oil diffusion only work well with high volatile oils like citrus oils, whereas the more viscous types of oils like patchouli or sandalwood remain unevaporated. On the other hand, electric diffusers can evaporate most types of oils. 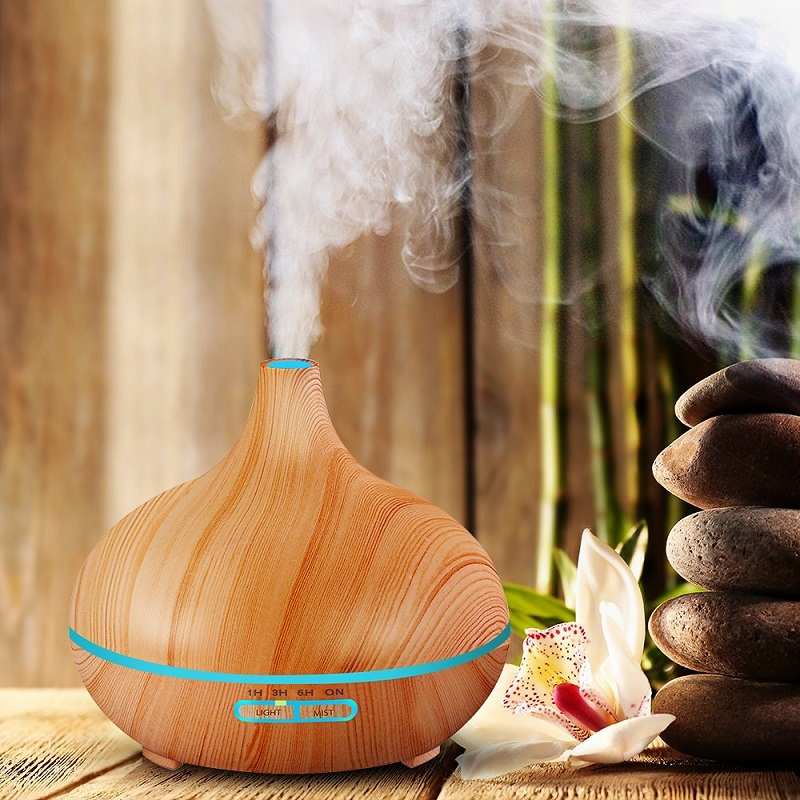 As the two most common electronic essential oil diffusers right now, the ultrasonic and nebulizing diffusers have become a well-loved lifestyle enhancement for many people. They both enhance the air quality in the room by releasing fine streams of mist and essential oils that human can inhale. These machines are also superior in more traditional diffusion methods as they can fight off sickness and contamination quite efficiently. As much as they share these common qualities, there are still some differences between the two. Nebulizers can release the highest volumes of essential oils. Its rate is up to 3mm of oils per hour. Ultrasonic is not made of glass, therefore comes in a variety of design and may last longer. 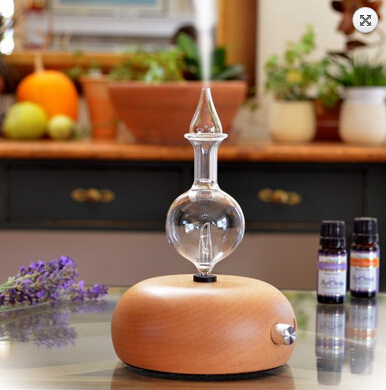 Ultrasonic diffusers can break down more viscous types of oils like patchouli, sandalwood or vetiver. As for the cost, nebulizing diffusers lie at a higher price base. It’s hard to overlook the benefits of diffusing essential oils. In comparison to other uses of essential oils, diffusing can be considered the safest and safest method. As you only use the diluted version of an oil-water mixture, there is less risk involving irritation or allergy. Do you have any questions regarding using essential oils? Make sure that you leave them in the comments!